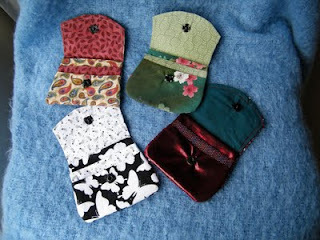 They are about 4 1/2 " wide and were made from a Valori Wells pattern. Here they are opened up, showing the three pockets. The paisley purse in the top left hand corner is the one I made carefully following the pattern, but after that I made some adjustments. 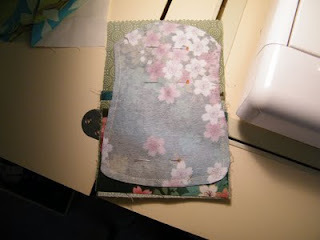 You can see how I have stacked the pockets on the lining of the purse withoujt having to worry too much about matching edges - just get the pockets nicely spaced, then lay the outer piece of the purse face down on the pockets and stitch around the correct shape, leaving a space to turn out, trim and clip, then turn out. I had trouble with the lower square corners so I made each piece a fraction longer so that I could put a curve on these lower corners. Great fun. Sewing on the press studs was the hardest part. Making these little purses reminded me of a slightly larger one I made in a class a few years ago. 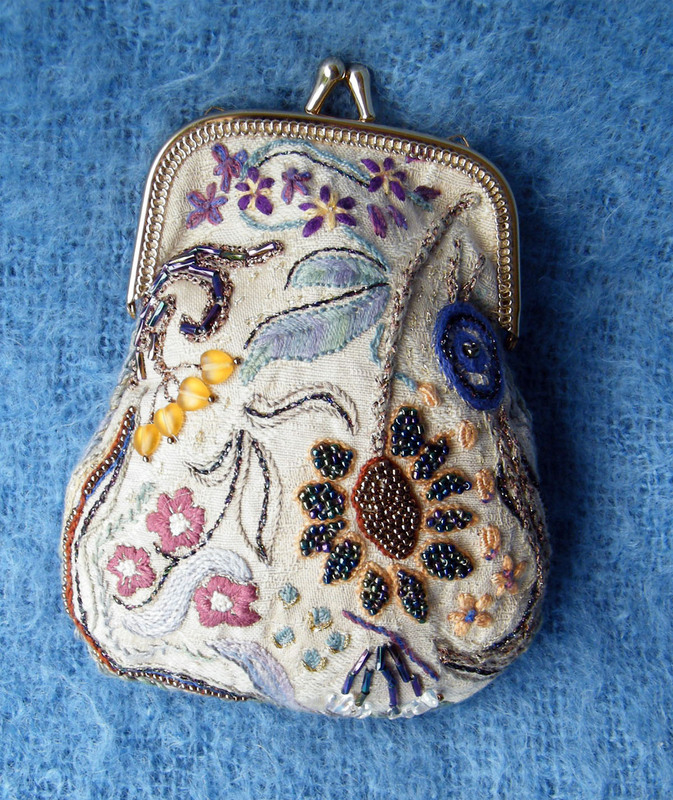 The challenge was to take a piece of self-patterned fabric, mark out the shape of a purse, then re-embroider the pattern with threads and beads. 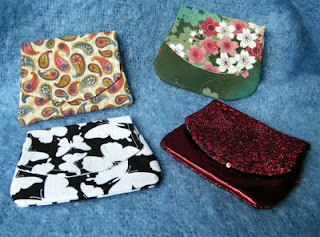 what gorgeous little purses. Love the one with all that embroidery and bead work. My friend made these for our friendship group this Christmas. They are adorable.